Trinity Property bring a fresh, friendly and honest approach to selling, buying and letting property within the Dudley and Stourbridge area. Trinity Property bring a fresh, friendly and honest approach to selling, buying and letting property within the Dudley and Stourbridge area. Offering free market appraisals, great EPC prices, all aspects of Property Letting and Management; we are based in central Dudley and cover Kingswinford, Wordsley, Netherton, Sedgley, Tipton and Tividale and more, with a business built on recommendation. With many years of experience to bring to the table, you can expect great service at the right price. We can offer you internet marketing on Rightmove, OnTheMarket, TrinityProperty.net and others, as well as local and regional marketing in newspapers including the Express and Star, Chronicles and local newspapers, along with our eye-catching Cerise and Black (Sales) and Yellow and Green (Lettings) boards on the streets. We work with an Independent Financial Advisor – Laura Thorton from Simply Mortgages (click here to email them) and can recommend local solicitors who know the area. Our Lettings Department can offer full property management, rent collection and tenant-find services, with rent guarantees and the Unique Rent On Time available. As landlords ourselves, we understand the needs of landlords and tenants and offer a friendly and experienced service in all aspects of Letting and Management. 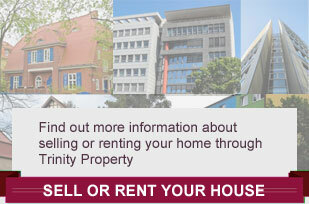 All our fees for renting are listed on the Landlords and Tenants pages.